A cancer diagnosis is one of the most frightening things a person can experience. Cancer is so unpredictable and stealthy that, from the point of diagnosis on, there is never a sense of absolute certainty that one can beat it. Cancer treatment is an often arduous, painful, and frustrating journey, but one that is fueled by hope. While in active battle mode against the mysterious foe, one has the feeling they are on the offense, always working toward recovery. Sadly, in many cases cancer is the triumphant winner of the battle. Even when things look hopeful, the disease can take a sudden, unexpected turn for the worst. When a cancer patient is given the harsh prognosis that the cancer is no longer treatable it can be devastating, to both the patient and their loved ones. It is at this point of the journey that hospice care for terminal cancer must be considered. 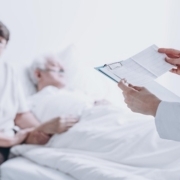 When a physician has concluded that his cancer patient is terminal, meaning that they have less than six months to live, he or she may suggest it is time to research hospice options. The very word, hospice, is often dreaded, as family members understand what is implied by the term. It is very difficult to throw in the towel after cheering on a loved one for months or even years with their courageous battle with cancer. Hospice provides supportive care, also called palliative care, at the stage when a patient is facing the final chapter of life. Hospice is recommended by a doctor who has decided the disease is no longer curable, and that continuing treatment would not be efficacious. The focus at that point should be on comfort and pain management, which is the purpose of hospice care, allowing the loved one a dignified and peaceful death. Medicare does regulate the scope of most hospice programs, so it is important to have a clear understanding of what services hospice can provide, and what services would be expected from the family. Some private hospice providers offer a concierge menu that offers additional out-of-pocket services that can enhance comfort and quality of life. Hospice care providers work in tandem with the patient’s physicians, as well as other care providers who together form a supportive team. 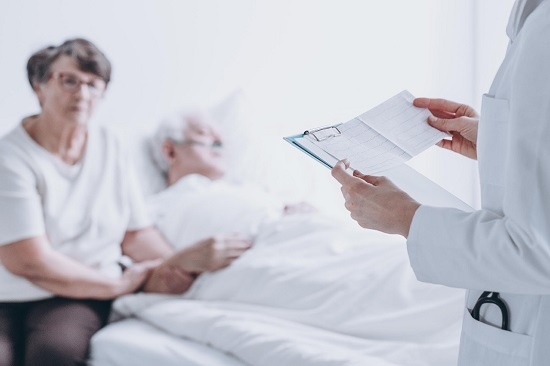 Depending on the needs of the patient, hospice care can be scheduled for regular check-ups by the nurses and the doctor, or in the case of advanced disease, 24-hour care. The mission of a home hospice care provider with a cancer patient is to reduce the symptoms of the disease as much as possible. This can include a variety of interventions, such as wound care, applying creams and massaging to improve circulation, helping them shift positioning in the bed, providing special foam or eggshell cushioning in the bed, oral care, and other types of comfort care. The primary focus, though, is on alleviating pain and discomfort. The doctor will prescribe pain medications and the hospice nurse will be in constant communication with the doctor as the patient’s pain needs require a change in dosing. The home hospice environment is favored because that is where the patient feels most comfortable, surrounded by familiar objects and their loved ones. Being in the comfort and privacy of home is less stressful that the activity and commotion in a hospital setting. What is Provided in Home Hospice Care for Terminal Cancer? Home hospice care provides the medications and medical equipment necessary for the patient. The hospice provider will ensure that these items are delivered promptly to the home, and include a hospital bed, portable toilet, oxygen equipment, a wheel chair, walker, and all medications. While the hospice team will include the hospice nurse, a social worker, home health aides, physical therapists, and spiritual counsel, the family is expected to provide for the daily needs of the patient, such as bathing and feeding the patient. Additional help is available to the family through home health services, but these are not covered under Medicare. However, some private insurance plans offer a wider range of covered hospice benefits, so check your individual policy for those details. In addition to aiding the patient, hospice care also involves support for the family members. Hospice caregivers provide the family with counsel and materials to help them prepare for the final stages of life for their loved one. It often helps family members to have some idea of what changes to expect along the way. Following the death of the loved one, hospice will provide grief counseling and timely check-ins with the family. Hospice providers understand how difficult it is to experience the loss of a treasured family member, and consider the support for the family as an extension of the hospice care of the patient. Even while the patient is alive, the social worker assigned to them will also spend time chatting with the family members, asking them how they are doing under the strain and offering help, such as referrals to therapists or suggestions for managing the stress. They can also provide suggestions for how to communicate with their loved one openly, allowing the dying loved one to feel free to share their feelings. Kinkaid Private Care is a full-service healthcare management company founded by a registered nurse who specialized in, and has a passion for, treating oncology patients. Because of this, Kinkaid Private Care offers the highest standard of nursing care for individuals needing hospice care for terminal cancer. Our hospice nurses provide a compassionate, gentle presence while providing care and support for your loved one, helping them to experience the best quality of life possible. For more information about our home hospice care services, please contact Kinkaid Private Care today at (877) 388-6373.